Beautiful, move in ready home in the desirable Berewick community. Large, open floor plan. Formal living room connects to formal dining room. Kitchen with granite counters/tile backsplash, ss appliances. Double oven NEW 2017. Refrigerator to convey. Pendant lighting over island. Tons of counter space. Great room with gas log fireplace. Master suite with spa-like bath. Upper level offers spacious secondary bedrooms along with oversized open loft. Huge laundry room with utility sink. Screened patio brings the outside in. Community amenities include pool, clubhouse, fitness center, tennis courts, & playground. Walking distance to shopping/dining & entertainment. For more about this great home, click here. 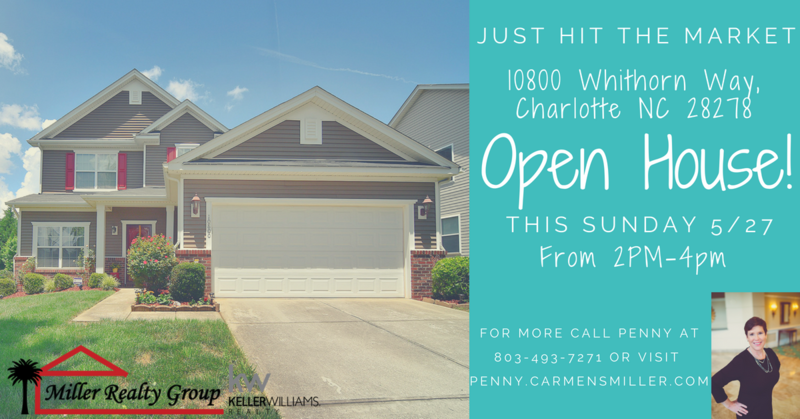 ?Call Penny Sheppard at 803-493-7271 or visit www.penny.carmensmiller.com for your private tour today.